America.....%$&@ yeah! Coming again, to save the day! Off the wall theme song aside, Captain America really is a constant defender. Granted, I don't think he's into extreme vulgarities and curse words, but he'll give his life defending that 'silly' little freedom you waste on watching 24/7 news channels and the 'Real Housewives'. See, that is the glory of America...everybody is free to do whatever they want! Grow up to be the president, or sit around collecting dust - it is up to you! Unfortunately, we ran out of super solider serum and vita rays so you can't follow in Captain America's footsteps. You can, however, pick up this bombastic 100% cotton Captain America Distressed Shield Navy T-Shirt. Features a highly distressed Captain America symbol across the chest! You may not be the real Captain America, but at least you aren't some Skrull or clone. Didn't the Punisher wear this thing for a spell? 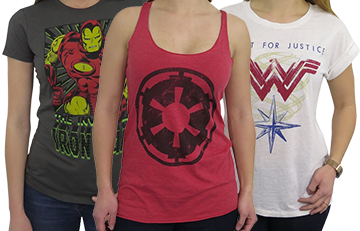 This is the standard quality, Captain America Distressed Shield tee, hence the lower price. Not quite as soft as the 30 Single version. Very comfortable and looks amazing! Bought 6 tees for a birthday gift. Recipient was super stoked! He loved the distressed look. Looks fabulous and fits perfectly! As expected - great quality and finishing and much appreciated - San Diego Comic Con here I come! Great shirt, looks cool and fits well. Sizing chart very helpful, not to tight or loose. Logo been in a scrape or two, just fine. I own this and the non-distressed. Love the distressed more. Logo looks better and stands out. Shirt met my expectations. Either I don't know what I'm doing, or the sizing chart is off. Love the design , especially with the faded shield look. I knew I would love it even before I bought it. Product came and was just as advertised. Love the shirt! It fits just how I want it to. It looks exactly like the picture. SuperHeroStiff is very prompt and accommodating. Material & motive simply great! It feels nice. It's not stiff. Bought if for a 4th of July party (hey, stick with the theme, right?) and am really happy I went with this site. 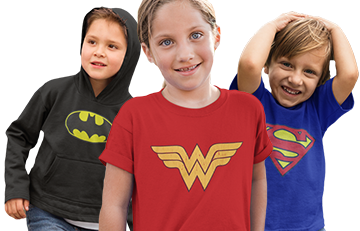 Shirt is good quality, fits well, and reasonably priced. 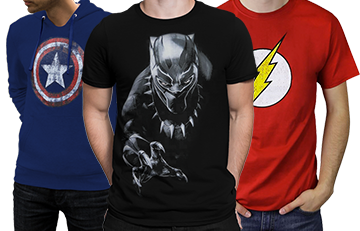 I will buy more from Superherostuff.com! I purchased the Capt. American T-shirt for my Husband and he is in love with it. I have washed it several times and it still fits perfect. My husband is a medium build 6'4 and the shirt fits him perfectly, even after washing. Sorry you weren't happy with the fabric but we really appreciate the feedback.